Celebrities lead a dual existence. In real life, they're loaded with money and zoom about the city in chauffeur-driven luxury cars. 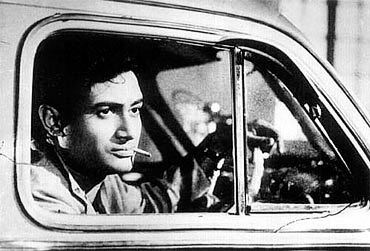 On reel, as per the demands of the script, they slip into the role of an ordinary public transport driver to make an on-screen living. 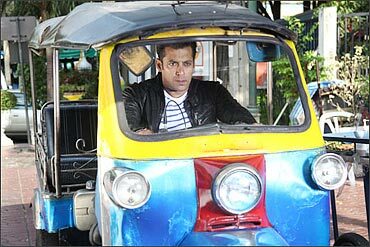 Salman Khan is the latest star to join the 'driver' bandwagon. In his underproduction entertainer, Ready co-starring Asin, the actor has performed some heavy-duty stunts inside Bangkok's famous tuk tuk or auto rickshaw. 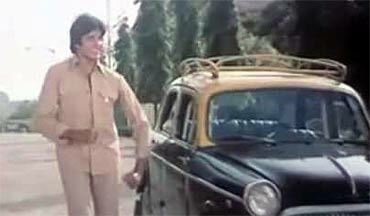 There's quite a list of memorable cabbies and autowallahs on celluloid. Browse through this compilation and pick your favourite. Basanti and Dhanno are synonymous with each other. Hema Malini's vibrant turn as the chatty tangewali in Ramesh Sippy's Sholay provides its action-packed premise with its only light moments. And Dhanno proves to be quite the muse. Apart from a catchy score, the Big B's potboiler flick, Khuddar boasts of the star in complete element as a hard-working, honest taxi driver slogging it out to give his kid brother a better life. And if that means addressing the four-wheeler as Basanti and personifying her engine-swings, so be it. There's no dearth of innovative professions in Bollywood's brand of creativity. 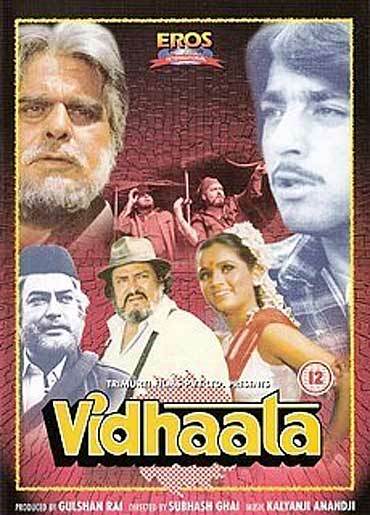 Erstwhile showman Subhash Ghai casts Shammi Kapoor as a burly engine driver with a philosophical train song to boot -- Haathon ki chand lakeeron ka in the Dilip Kumar-Sanjay Dutt face-off flick, Vidhaata. He drives an auto rickshaw but dreams of romancing tinsel town. That's Naseer's Hero Hiralal. Trust him to infuse some credibility in Ketan Mehta's harmless drivel, best known for introducing Shashi Kapoor's light-eyed daughter, Sanjana into films. It takes a fantasy of Madhuri Dixit's proportions to bring Om Puri's meter down in Sudhir Mishra's realistic exploration of an inhabitant of India's largest slum, Dharavi in Mumbai. The film won a National Award and boasts of a superlative performance from Puri as its dreamy-eyed protagonist. 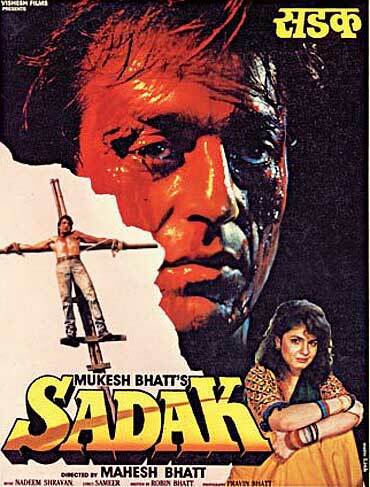 Loosely inspired by Hollywood's Taxi Driver, Mahesh Bhatt's Sadak proved to be a turning point in Sanjay Dutt's otherwise ho-hum career. 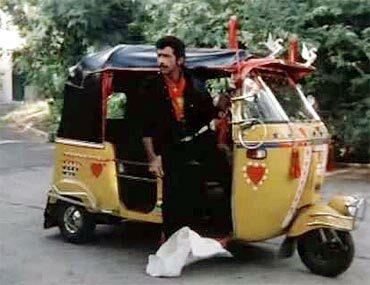 Sanjay Dutt's aggressive, angst-ridden performance and rippling muscles as a troubled cabbie won him tremendous accolades and a big box-office hit. It's not every day you bump into hill-station taxi guy as cute as Aamir Khan. 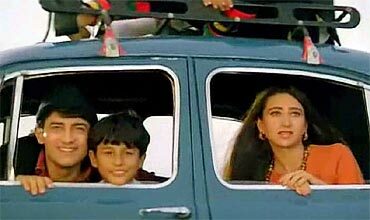 So much that Karisma Kapoor falls for Raja Hindustani's extrovert, talkative charms and decides to marry him in Dharmesh Darshan's over-the-top rehash of Jab Jab Phool Khile. 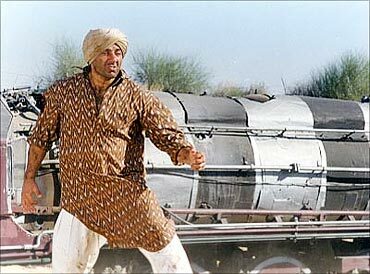 Thanks to Sunny Deol's enthusiastic jig, Main nikla gadi lekar turned into every truck driver's anthem for the longest time. That's hardly a mean feat for the muscular Jat who single-handedly demolishes an entire nation's army in Anil Sharma's excessively jingoistic blockbuster, Gadar: Ek Prem Katha. Playing every day, common man characters is widely regarded as a Nana specialty. 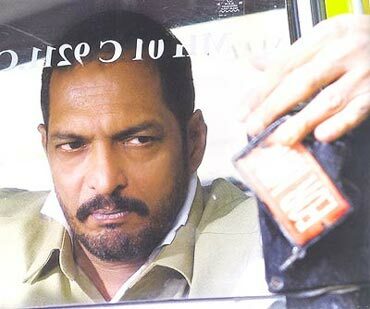 The edgy actor doesn't disappoint with his depiction of a stressed out, taxi driver-on-the-edge struggling to get on the better side of a bad day in Milan Luthria's Taxi No 9211. 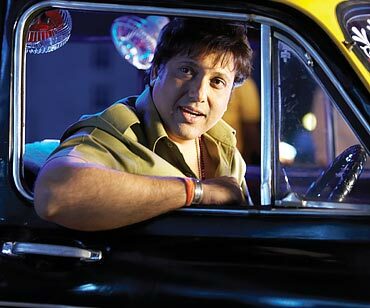 Everyone runs into a kind-hearted cab driver once in a while but nothing quite like the overtly magnanimous Govinda of Nikhil Advani's crammed answer to Love Actually. As the poetic philanthropist, Chi Chi takes his phoren passenger on a ride, of the beneficial kind, in a bid to reunite her with the absconding boyfriend but falls in love instead. Fed up of pot-bellied, coarsely-talking taxi guys? Dial Deepika for relief. As an MBA student in Australia trying to make a few extra bucks, the leggy Haseena effortlessly juggles as grocery store accountant by day and cabbie by night. She's glamorous, feisty and game to go on a no-strings date with her admittedly dishy fare. Can Katrina pull off a Hema Malini? Vote!